Calling all "California Gurls": If you are willing to part with $9.5 million, you can live like Katy Perry in no time. The 32-year-old artist recently put her four-bed, six-bath Hollywood Hills home on the market. The property, which is located in the ultra-exclusive Outpost Estates area of the Hills, is comprised of four separate structures built in 1954. In the Mediterranean-style main house, the master suite spans the entire second floor and features a Roman bathroom with a sky-high ceiling. The other three structures include a two-story guest house (with a garage large enough for a limousine, of course! ), a fitness building, and a security guardhouse. Outdoor amenities include a swimming pool, cabana with spa bath, and a spouting fountain. Not to mention, the home is also surrounded by a two-acre garden that even boasts cultivated fruit trees. Take a virtual peek at the sprawling estate for yourself here. Earlier this year, the Grammy-nominated artist purchased a Beverly Hills home for $18 million that had not even been for sale. Swish, swish, bish. 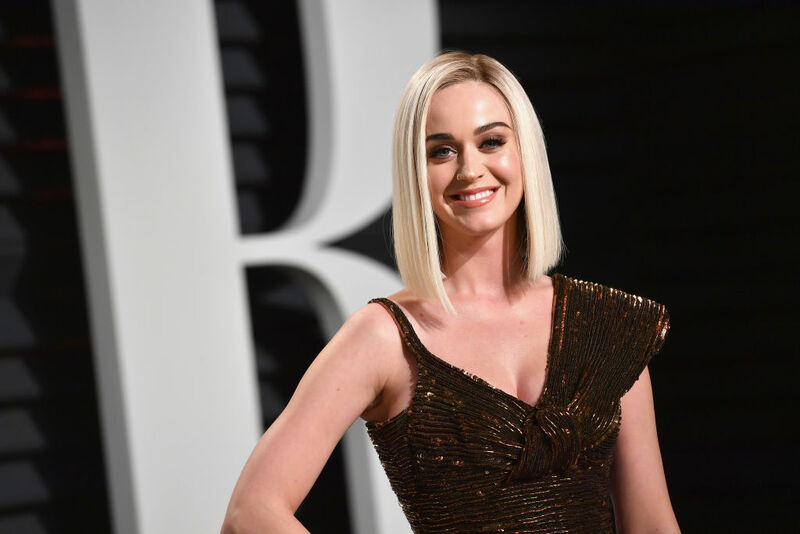 Once the 16th season of American Idol debuts, Katy Perry will be one of the highest-paid people on television. Katy Perry just dropped nearly $18 million on another Los Angeles home.